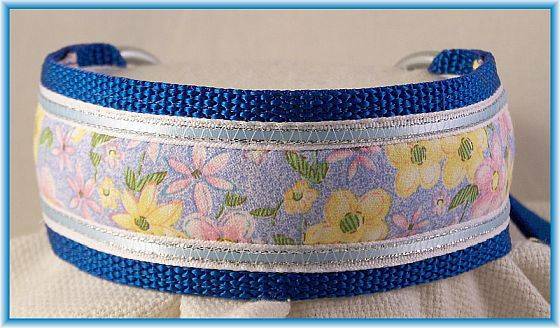 The medium dog leads are constructed with 600lb-test polypropylene webbing. 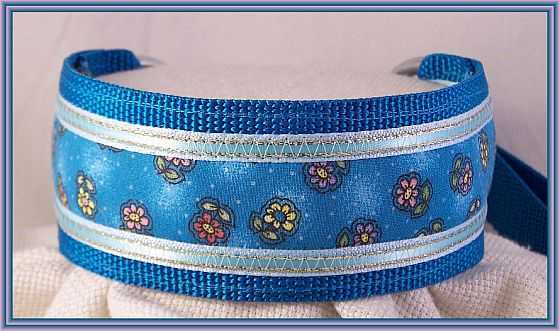 The D-rings are lighter weight, unwelded, nickel or zinc-plated steel. 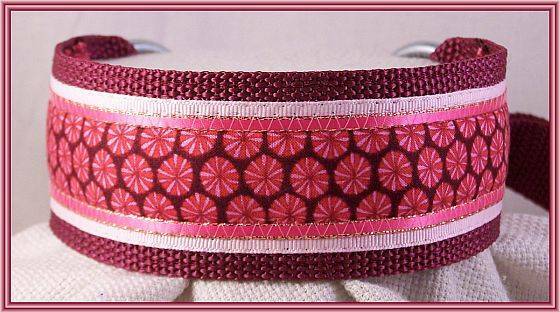 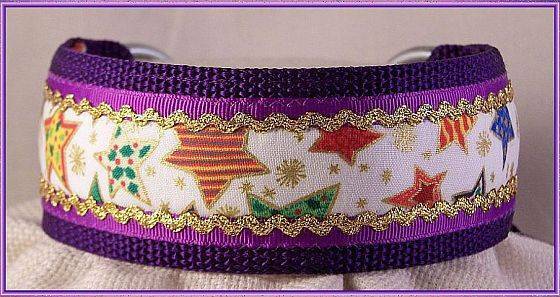 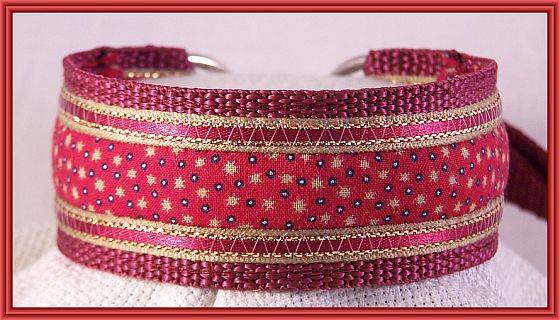 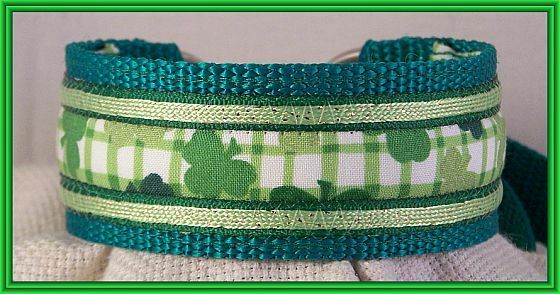 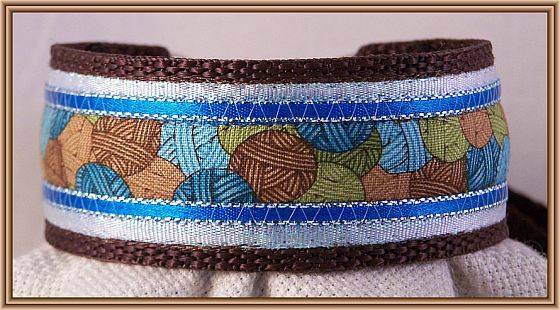 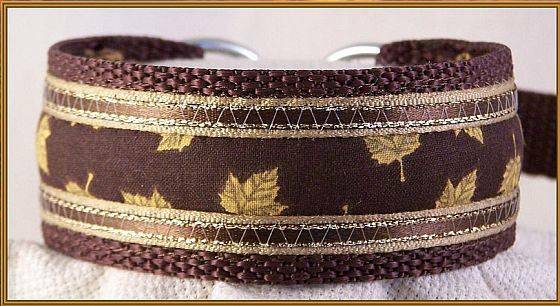 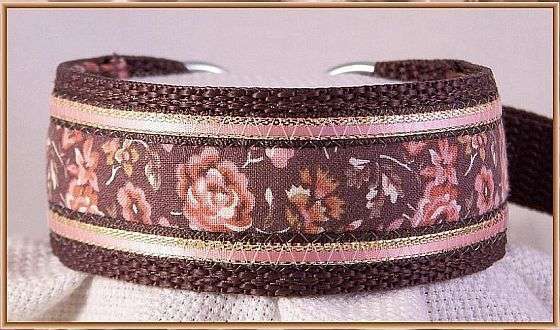 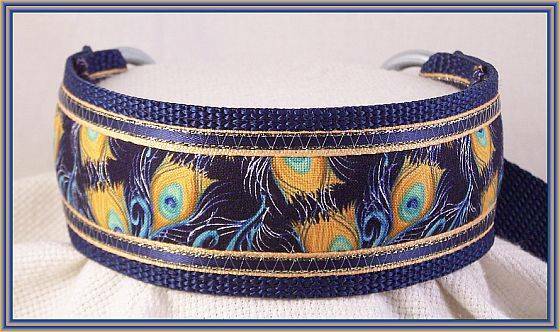 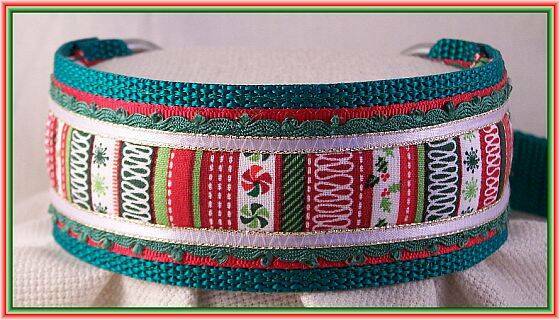 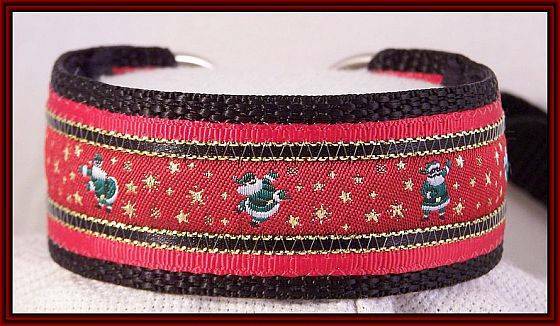 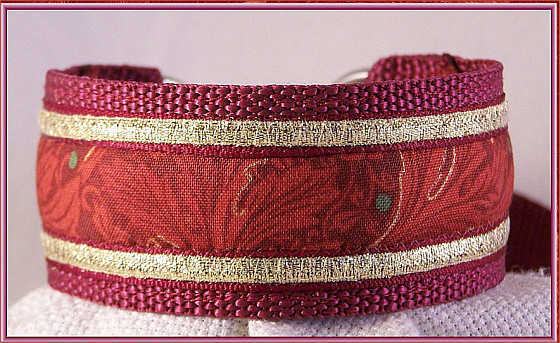 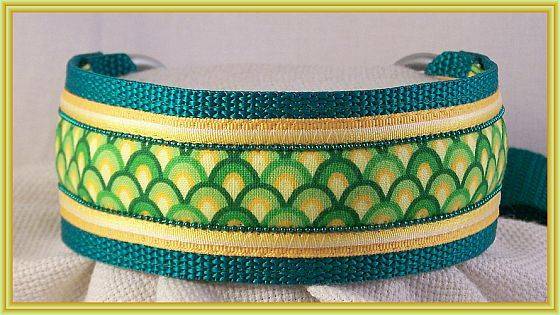 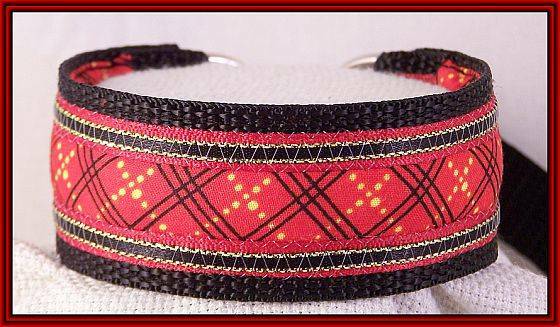 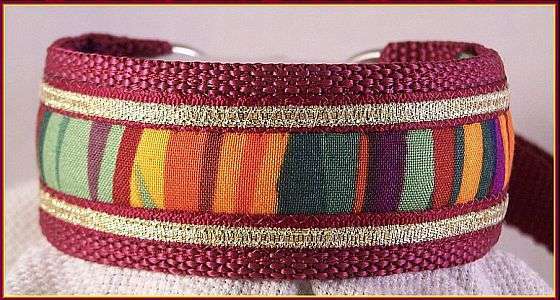 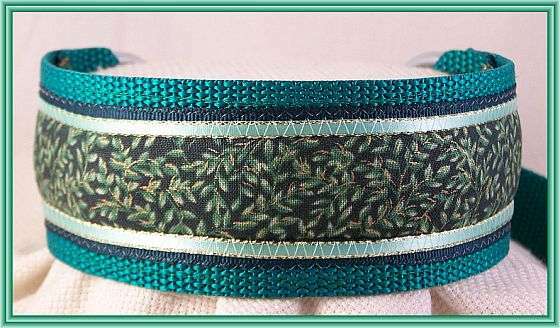 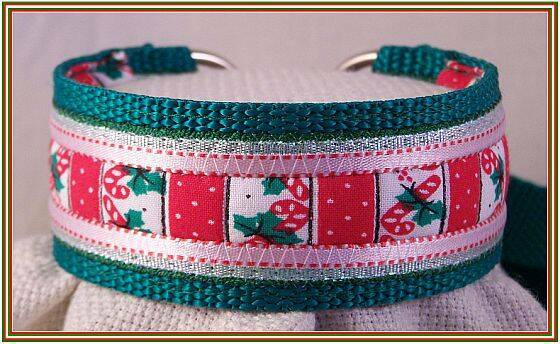 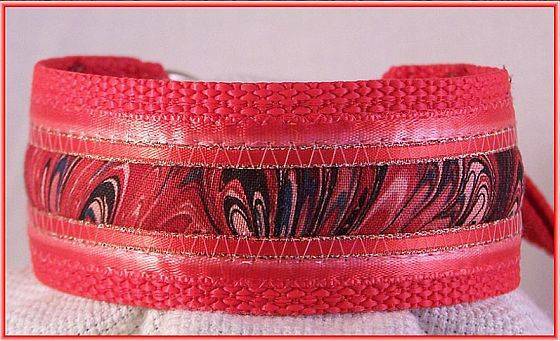 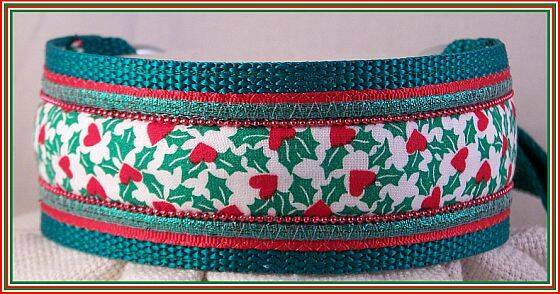 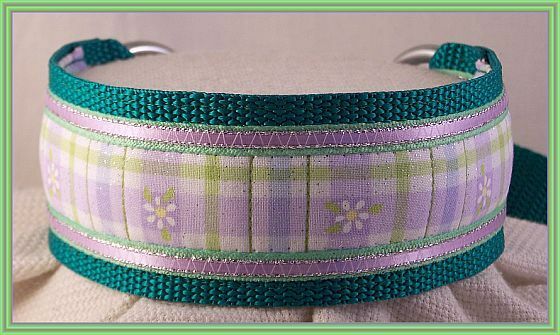 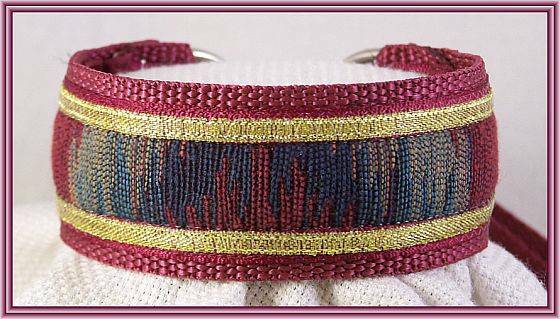 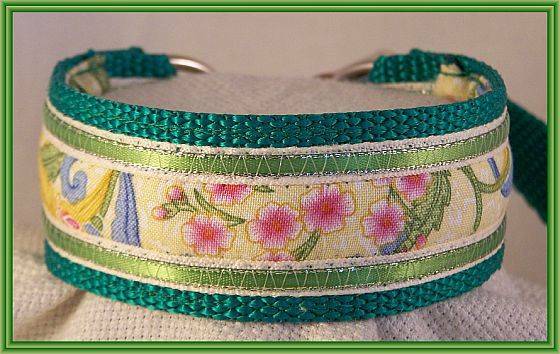 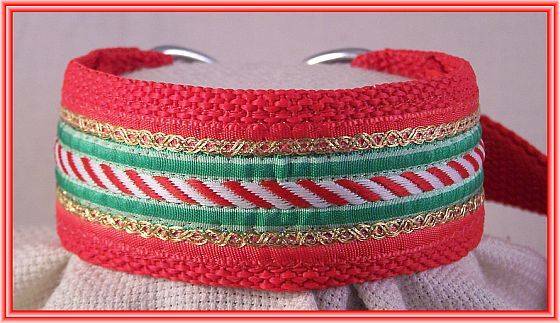 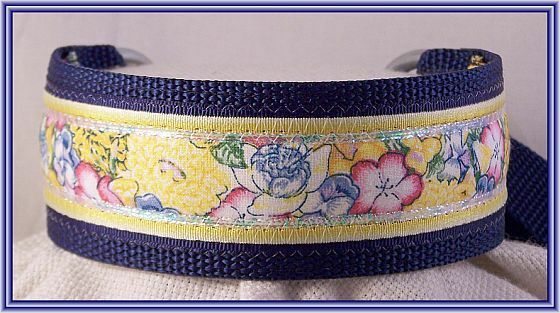 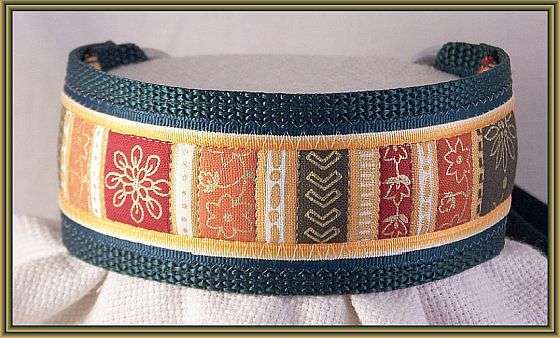 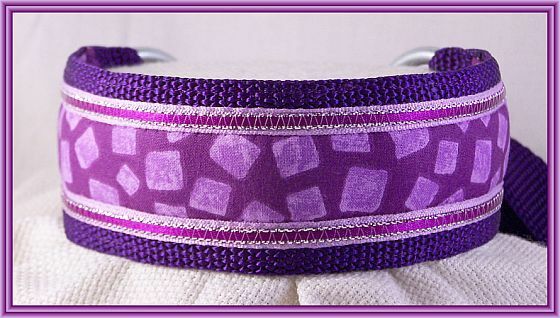 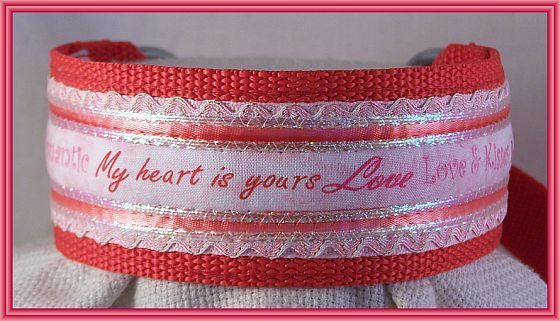 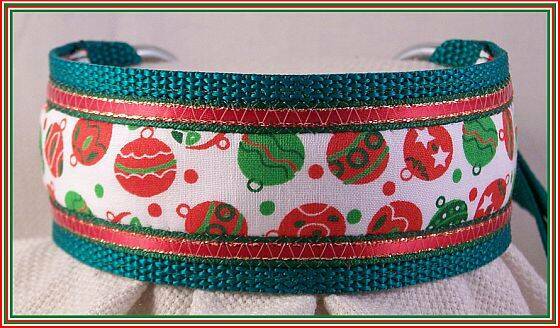 The collar section is 1 1/2 or 2'' wide, padded with a polyester fiber and fully lined with a cotton fabric. 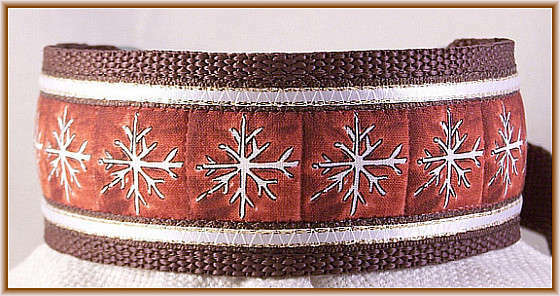 I find this polyester/cotton combination to be the all-round best for comfort and durability. 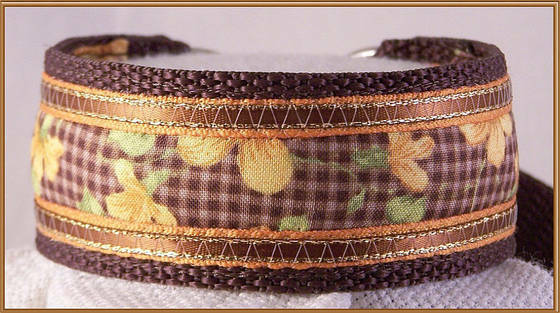 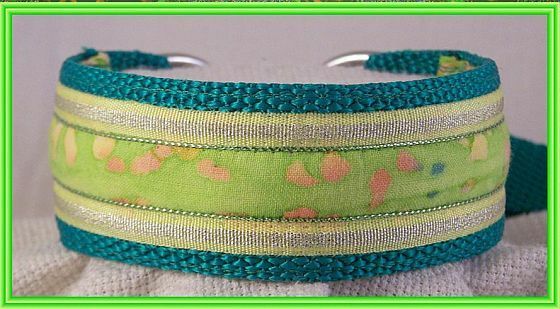 The leash section is made of 3/4'' webbing about 6ft long. 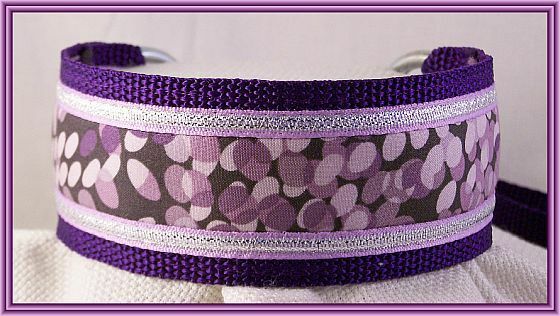 The 10 1/2'' long, 1 1/2'' wide whippet size will fit most medium dogs with a neck size of about 11'' to 12'' or 13''. 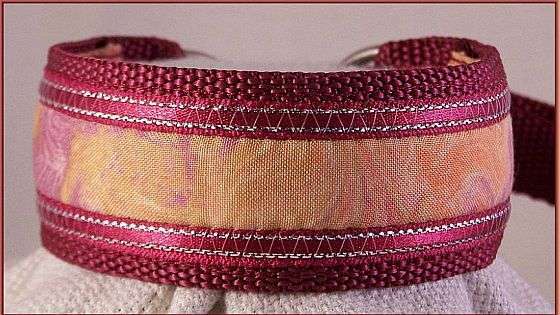 Measure around the skinny part the neck (right behind our ears) and then come down about 1 1/2'', where the bottom of the collar will normally rest. 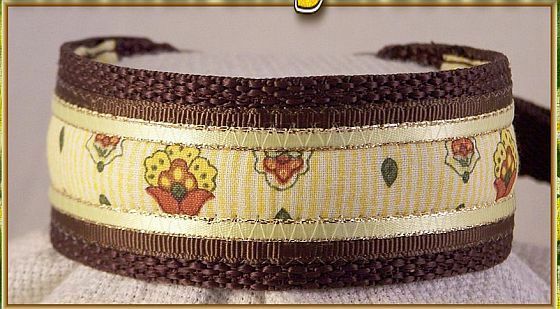 This should be close to the size you need. 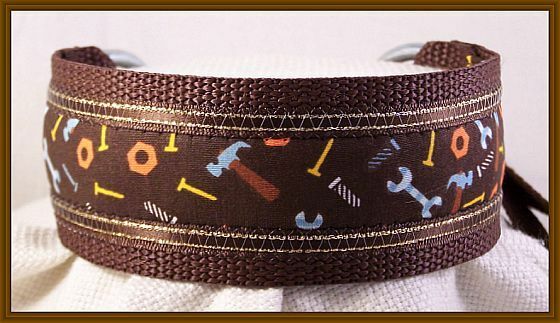 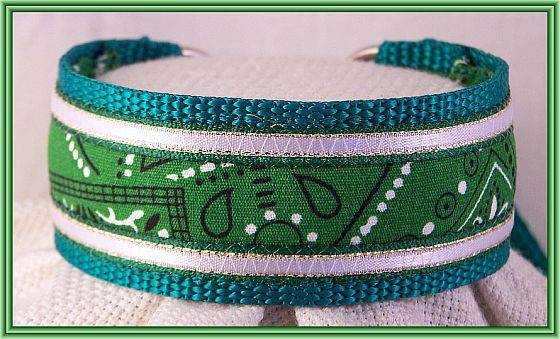 If you need something just a bit larger, I can make it in the 2'' width and a bit longer.